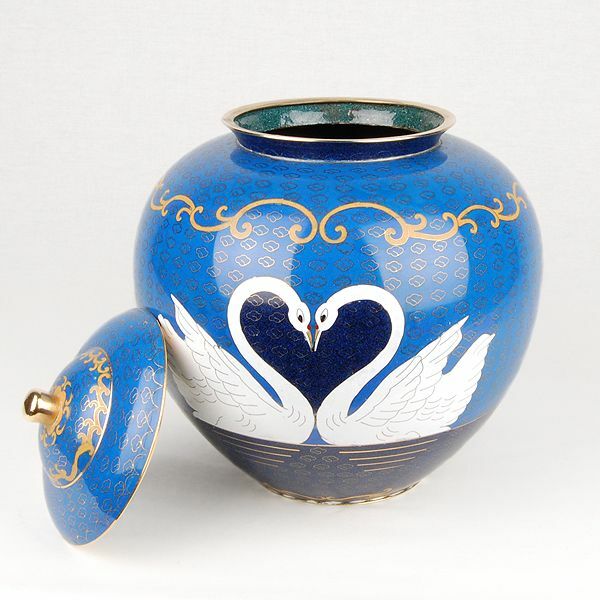 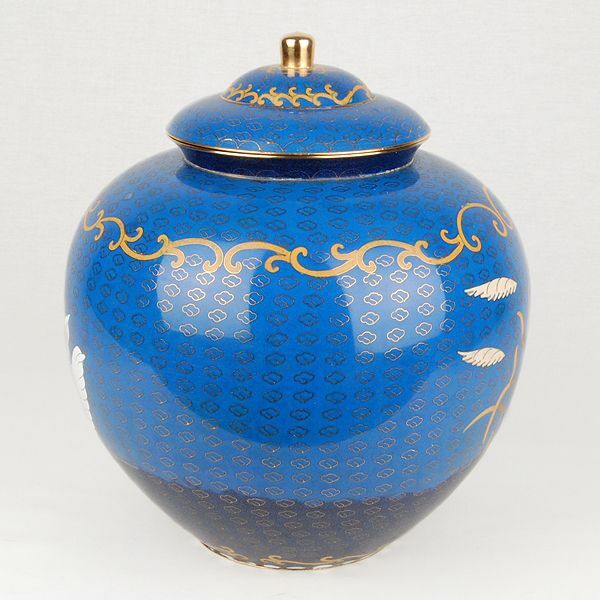 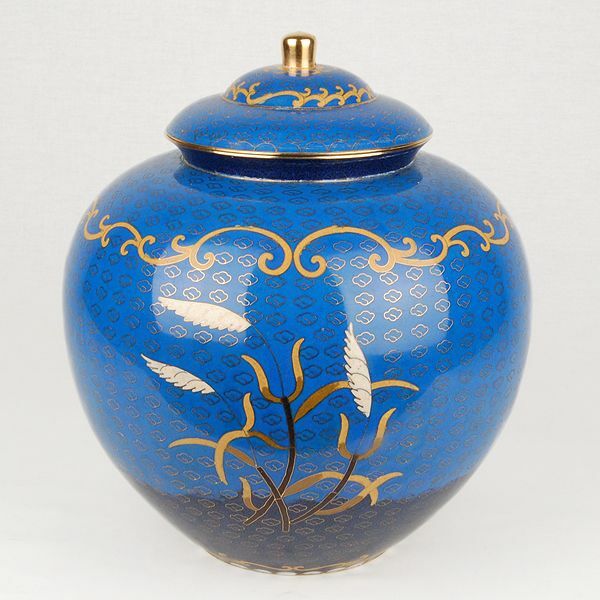 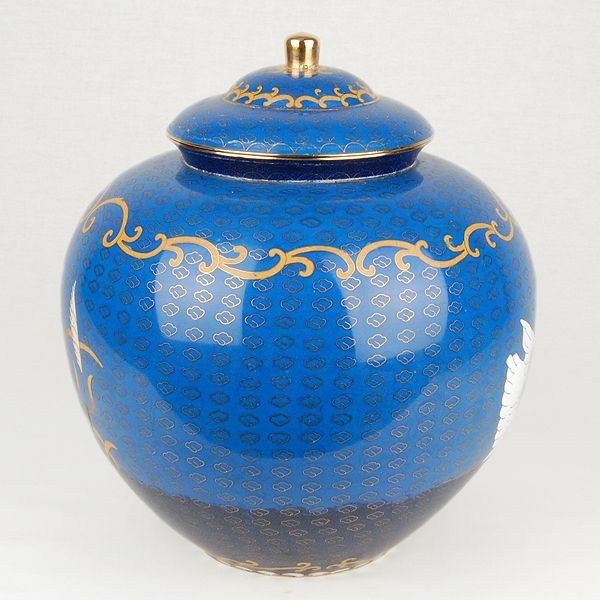 The Swan Lake cloisonné companion cremation urn is crafted in the shape of a traditional style vase with a hand-applied enamel. It has a threaded, top-opening lid and can hold the ashes of up to two people. 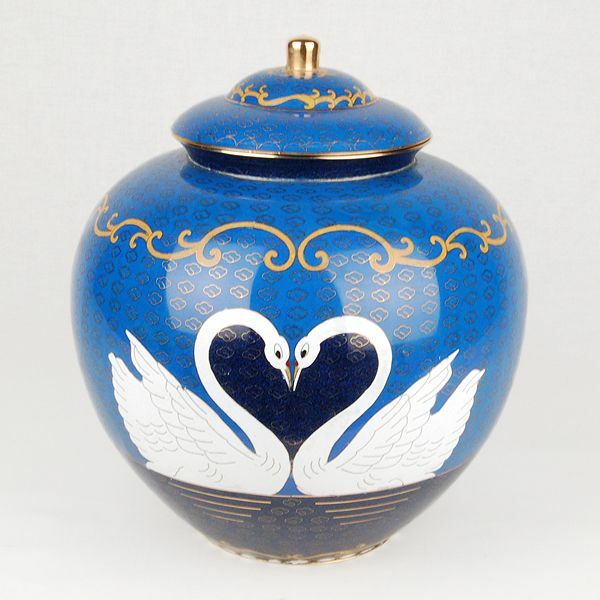 The two symmetrical swans lovingly hold their heads together, forming a heart. 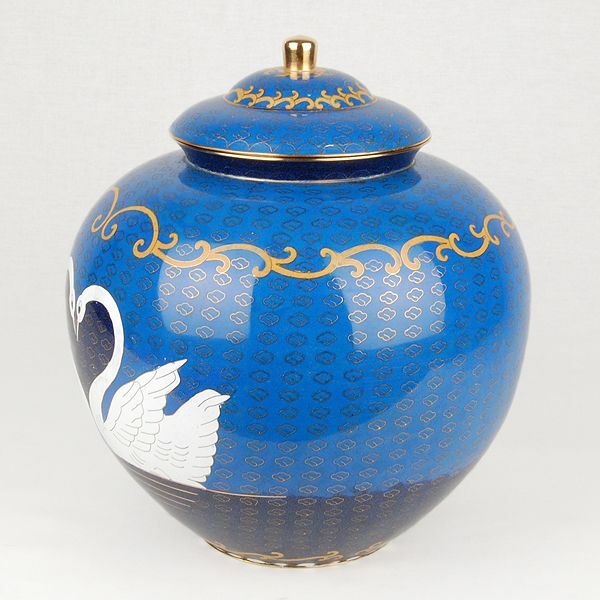 A wooden base is not included with the companion Swan Lake due to the large size of this urn.